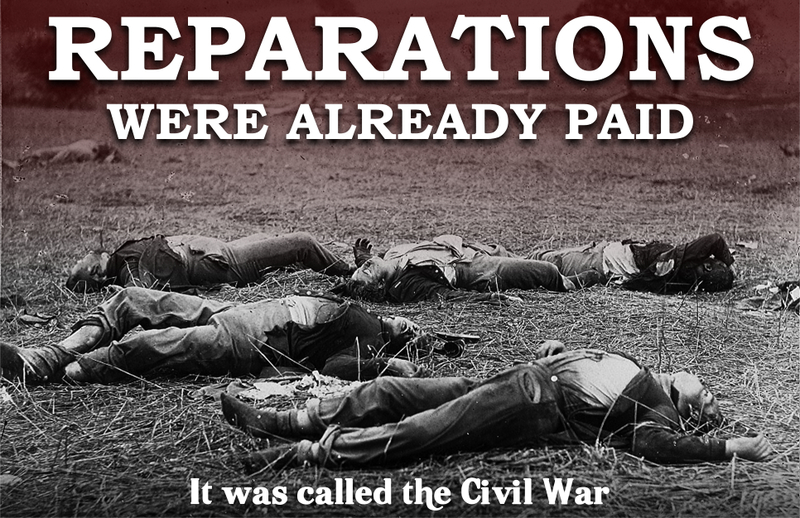 Democrats and other socialists are now demanding reparations for blacks because of slavery, but those reparations were paid 153 years ago, in the form of the American Civil War. During that war about 330,000 white Union soldiers died, either killed in action or from wounds and disease. They gave their lives to free blacks from slavery. By dying for that cause, they put an end to all the children they would have had in the future. If 30 years is a generation, there have been 5.1 generations since that time. In those days men have more children than today. It was common to have seven or eight children. These days it might be two or three. Not all the soldiers would have had children, and others would have died from other causes, so let’s say the average then was 4 and make today’s 1.5. An average of those numbers is 2.75, so we’ll assume the average man between then and now had 2.75 kids. Now take out the .75 for other things, like wars, drugs, suicide, murder, etc., leaving us with just 2. Remove the Civil War and about 12 million Union soldiers’ descendants would be alive today; nearly the population of Pennsylvania. By 2040 it would have reached 21 million unborn union soldier descendants – about the populace of Florida. That is one price white men paid to free blacks. The monetary cost of the Civil War was about 8.3 billion dollars, and later, for pensions and veterans benefits, another $3.3 billion. 1865’s 8.3 billion is about $128,714,159,500 today. 3.3 billion in 1906 is around $92,684,533,333 nowadays; a total of about $221.4 billion. It is more when you consider the wealth that would have been generated by the missing millions of white descendants, including jobs, businesses, buildings, houses, cars, jobs, bank accounts and so on, all gone. Aside from the original 330,000 whites who died and sacrificed their millions of descendants to free blacks, there were all the millions of other whites who voted to make the lives of blacks freer. What about the millions of whites who employed blacks or lent them money? Many would do so despite pressure from peers not to. Many sacrificed career and social opportunities by doing so. Liberal blacks eager for a handout forget those whites. Conservative blacks have not forgotten; they remember and are grateful to Republicans for dying by the score to free slaves and for opposing the Democrats’ Ku Klux Klan. They are thankful to Donald Trump for lowering their unemployment number to its lowest level ever and re-charging the economy. Whites have paid a huge price for the mistakes made by some whites in the past. They would argue. One tribal leader would quarrel with another over the matter. Scene: Tribal site, Stone Age – 20,000 BCE. 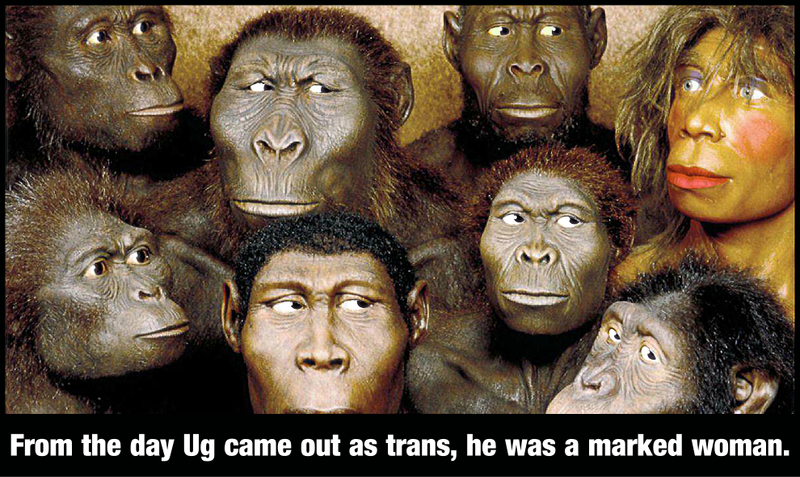 Men have slaughtered a tribe’s males. Glott: We can’t just leave these women and children. They’ll die. Trugo: Who cares? Why do you bother? Glott: Why not take them? Trugo: They are the enemy! Glott: They are just women and kids. We can keep them. Trugo: For what? So they can poison our food? Glott: They would serve us. They can be of use. Trugo: You’re pathetic Glott. You always were a weakling. Glott: They can give us more children. Make our tribe strong. Hiss: I agree with Glott. They are an asset. Why throw them away? Trugo: Nonsense! By the gods, they will curse us! Glott: No, the gods will protect us. Hiss: Trugo, I outrank you. We will take them. Hiss: Leave them behind. Take the rest. Terl: Follow me child, and say nothing. Mikka: But ma, what about grandma? Terl: She will be fine, now keep quiet. Mikka: But they are making us slaves! Terl: Would you prefer to be dead? Terl: Then hush – at least you will have a life. Mikka: Will we ever be free? Terl: Free from wild animals? No. Free from disease or war? No. Slavery is not a great thing, but we will have protection, shelter, food, and water. It is better than dying. Mikka: What about dad? They killed him. Terl: He is with the gods now. He is happy. Don’t talk. In short, slavery in those ancient times was better than being without a husband or a tribe. Without them, a woman and child would not last long. 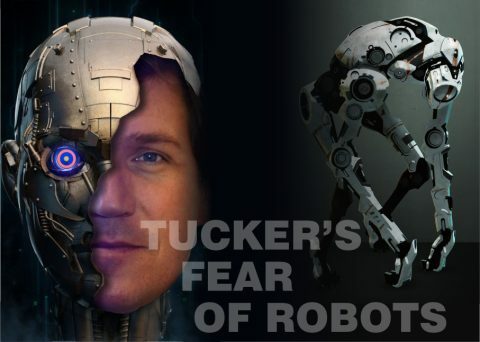 It is only in relatively recent history that slavery becomes much worse, since women and children can survive today in modern civilizations, and thus slavery would be a terrible thing to have to tolerate. Even so, modern slavery exists. White people are enslaved all around the world all the time. Gangs of human traffickers abduct white females, shoot them full of drugs and force them into prostitution. Billions are made each year from this trade. The culprits include Africans, Arabs, Asians, Hispanics, East Europeans, and others. Millions are affected. Those who do not cooperate are often punished, mutilated, tortured, raped or murdered. Their families are impacted too, in multiple ways. The amount of pain and suffering is immeasurable because most slavery is invisible. Asking governments for crime statistics is like asking blind people how many freckles they have. Whatever bureaucrats say it is probably fifty times worse. Another problem is the fact that millions of whites and blacks moved to the United States after slavery ended, and ever since. Some intermarried with other people who were descendants of slaves. Today’s vast tangle of ancestors is impossible to unravel, allowing cheats to take advantage of such reparations. 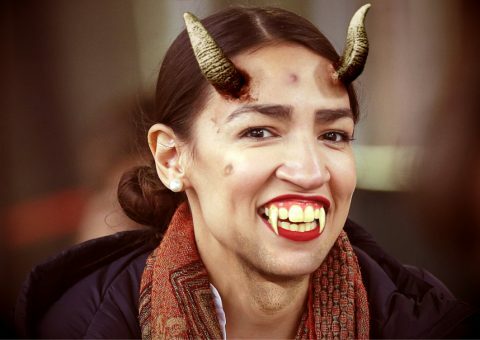 If professional white political people pretend to be Cherokee Indians, it is apparent millions of people will insist they have black blood or were related to slaves. Everyone will have their hand out. All humans’ ancestors were slaves to another group at some stage in the past. What do we do; form a giant conga line around the Earth and pass money from one person to the next? When the money you gave the guy in front eventually returns to you, we can all go home. Consider all the other forms of pain and suffering that exist. Gay people have been persecuted and murdered for millennia, stretching back through human history. Going back to the earliest hominids there would have been retribution for anyone seen as different. 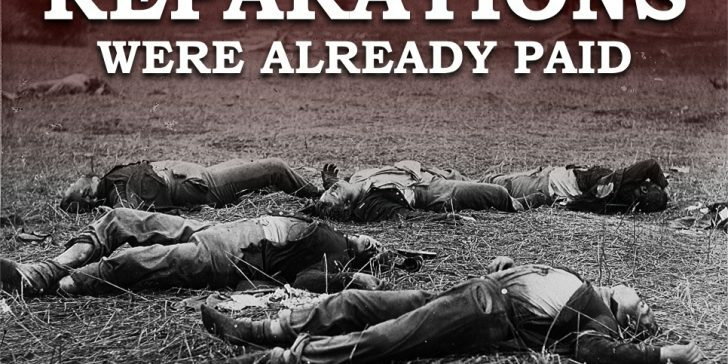 If Lefties get away with this reparation absurdity, it will open the doors to all interest groups to claim reparations for the pain their kind went through in the past. It will include gays imprisoned for being homosexual, or whose ancestors were hung or imprisoned for the same. It will consist of all those punished in the past for smoking marijuana, now that it is no longer illegal in many states. Prostitutes will want reparations for all the millions of times they were arrested, imprisoned and murdered down through the ages, and let’s not forget Jews, who have been hounded and persecuted for thousands of years. Ugly people could be next – all the obese people with large honkers, flappy ears, piggy eyes, flat chests, yellow teeth, and halitosis, victimized for centuries, refused entry into Hollywood, chased away from modeling, shooed out of exclusive clubs and rejected by casting directors everywhere. They will want reparations for psychological torture. Pedophiles will be there too, when the age of consent is lowered to 11, wanting compensation for being imprisoned so many times. People fined for speeding will wish to have reparations for all the fines they paid before speed limits rose. If we extended this lunacy to the rest of the animal kingdom, think of the compensation they would want, going back to the beginning of life itself. Hermit Crabs would want payment for all the shells stolen off them. We could have an endless list of such grievances. Or did liberal blacks think they were the only people whose ancestors suffered? What an ego on those people. What a greedy bunch of whiners. They believe the world owes them a living because strangers centuries ago did something bad. Boo hoo. They should grow up and stop making up excuses for what is nothing more than begging. 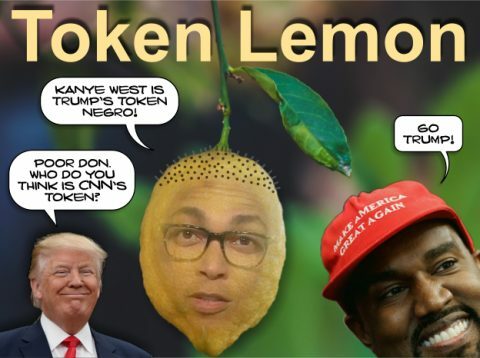 I am sure Jussie Smollett and Don Lemon (pronounced lemon, as in the fruit) dispute this. The fact that no-hopers like them disagree is all the proof you need to know I am right. The question really is, exactly who would get the reparations? Obama is only half black, and his black father was from Africa and was never a slave. Would Obama be eligible for a half share? How about recent immigrants from Africa? 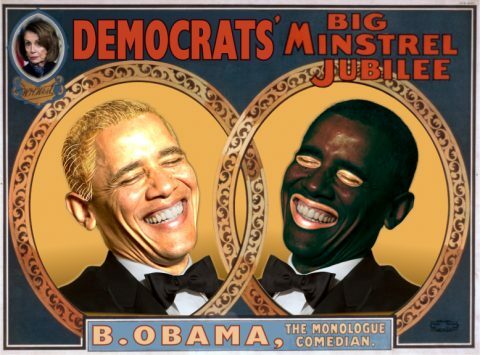 Now we have to decide who is actually black! Do they get a share? Why?